Like all other witnesses who have spoken publicly, Goldstone, who attended the Trump Tower meeting, said there was no dirt presented on Clinton and that the meeting focused largely on the Magnitsky Act, which sanctions Russian officials accused of involvement in the death of a Russian tax accountant, as well as talk about a Russian tax evasion scheme and alleged connections to the Democratic National Committee. He said he was “embarrassed” that he even set up the meeting, and described Trump campaign officials present as viewing the get-together as a waste of time. Goldstone made the comments in testimony to the Senate Judiciary Committee reviewed in full by Breitbart News. The testimony was given in December 2017 and publicly released several months ago. It is newly relevant following the renewed news media spotlight on the Trump Tower meeting while most of Goldstone’s nearly 250-pages of testimony remain entirely unreported by the news media. The meeting was set up by Goldstone, who had contacted Trump Jr. on behalf of his client Emin Agalarov, a Russian singer and businessman who is the son of Russian billionaire Aras Agalarov. Aras Agalarov organized the 2013 Miss Universe pageant in Moscow when the pageant was partially owned by Donald Trump. Goldstone had emailed Trump Jr. to set up a meeting with Russian lawyer Natalia Veselnitskaya, a lobbyist acting to counter the Magnitsky Act. In his testimony, Goldstone says that he did not know Veselnitskaya when he sent the email and did not have any information that she worked for the Russian government. Veselnitskaya has long maintained that she is not tied to the Russian government. Goldstone testified that Veselnitskaya did not present herself as working for Russia during the meeting. In his testimony, Goldstone attempted to explain his unusual phraseology. He admitted that when sending the email “I didn’t know what I was really even talking about, because I had asked it to be elaborated on” and it wasn’t. Veselnitskaya, a lobbyist against the Magnitsky Act, previously described working in 1998 after law school at the Central Administration of the Prosecutor’s Office of the Moscow Region. “I do not know what Mr. Goldstone was talking about,” she replied. “Given what I know, I can assume that Mr. Agalarov might tell him a little about me, mentioning that I had previously worked in the prosecutor’s office, and the information I wanted to tell in the U.S. Congress had also been reported by me before to the General Prosecutor’s Office of Russia and it was confirmed there.” She was referring to the information about the Magnitsky Act. Goldstone, meanwhile, admitted in the testimony that he used deliberately hyperbolic language to ensure that the meeting took place. 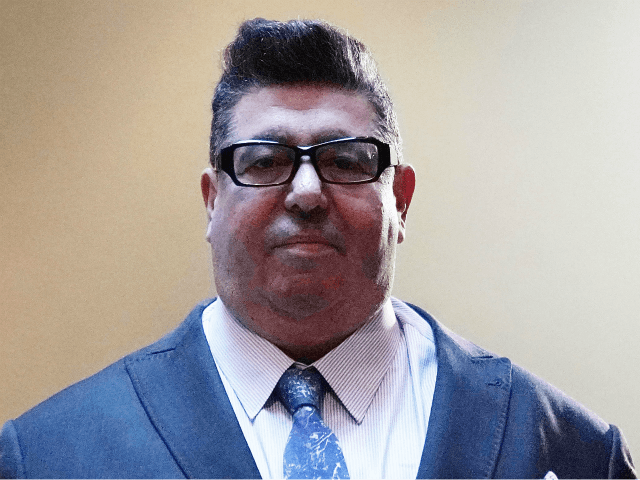 Goldstone further said that he believes the meeting was a “bait and switch” by a Russian lobbyist seeking a meeting on another matter by misleadingly claiming to be bringing the Trump campaign dirt on Hillary Clinton. “Mr. Goldstone, in your capacity as a music publicist, have you at times used hyperbolic language or exaggeration or hype as part of your pitch?” Goldstone was asked. “At most times, yes,” he replied. “So if I understand your statement right, you were saying that your email on June 3rd to Mr. Trump was an example of this hyperbolic exaggeration type?” he was asked. In his own testimony before the Senate Judiciary Committee that was recently made public, Kaveladze related that no one at the meeting presented themselves there as representing the Russian government, no one discussed hacked emails and no conversation took place that could possibly be characterized as “collusion” between Russia and the Trump campaign. Goldstone made similar remarks. In the testimony, reviewed in full by Breitbart News, Kaveladze asserted that the meeting was an informational presentation that focused largely the Magnitsky Act, relating how he called the meeting “boring” when describing it afterwards. That was when Kaveladze says he called an associate of Emin’s, Roman Beniaminov, who first told him that “as far as he heard” an attorney who would be present “had some negative information on Hillary Clinton.” He said that Beniaminov told him that he did not have any details on the alleged “negative information” concerning Clinton and that he overheard that suggestion from Goldstone. The businessman says that Veselnitskaya gave him an 11-page synopsis of what she had planned to discuss at the meeting. He says the only reference to Clinton was “one sentence” about how Ziff Brothers Investments, an American firm, had been accused of evading Russian taxes and two of the company’s leaders are major donors to Democratic candidates, including Clinton. That information was already a matter of public record.